Paul Ricoeur’s philosophy can be characterised as a continuous dialogue. By discussing theories of both his contemporaries and key figures in the history of philosophy, Ricoeur has developed a philosophical thinking with an exceptionally broad scope. 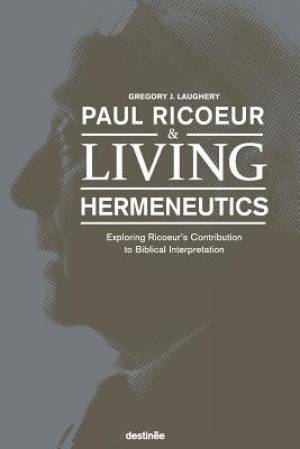 Hermeneutics and Phenomenology in Paul Ricoeur: Between Text and Phenomenon focuses on the two philosophical methodologies that are most decisive for Ricoeur’s thinking and concentrates especially on the interaction between these two. The book is divided in four parts, each consisting of three to four chapters written by leading Ricoeur scholars. The first part of the book, From Existentialism and Phenomenology to Hermeneutics, provides a contextual background by examining some of the most significant sources of Ricoeur’s hermeneutic phenomenology. In the first chapter, “Ricoeur’s Early Approaches to the Ontological Question”, Marc-Antoine Vallée focuses on the existentialist influences on Ricoeur’s early approach to the ontological question. Although the understanding of the ontological question in Ricoeur is usually based on Ricoeur’s text The Conflict of Interpretations (1969), Vallée shows that before this text, Ricoeur considered the ontological question from a different point of view, in which the difference between, on the one hand, Heidegger and Sartre and, on the other, Jaspers and Marcel plays a central role. In the second chapter, “Distanciation and Epoché: The Influence of Husserl on Ricoeur’s Hermeneutics”, Leslie MacAvoy shows that Ricoeur’s thinking is a hermeneutics that is capable of a critique of ideology. By pointing at the relation between Ricoeur’s conception of distanciation and Husserl’s conception of epoché, MacAvoy makes the differences between Gadamer’s and Ricoeur’s conception of hermeneutics visible. MacAvoy shows that Ricoeur’s philosophy can be characterised as doing hermeneutics without forgetting Husserl. Referring to the Gadamer-Habermas debate, MacAvoy argues that, because of the importance of distanciation or epoché, Ricoeur’s hermeneutics is better able to offer the possibility of a critique of tradition or ideology than Gadamer’s. The final chapter of the first part is “Thinking the Flesh with Paul Ricoeur”, in which Richard Kearney suggests new directions for a carnal hermeneutics based on Ricoeur’s writings. Kearney shows that, while Ricoeur developed a phenomenology of the flesh in his early works, this focus disappears when Ricoeur in the 1960s starts concentrating more exclusively on a hermeneutics of the text. Starting from some reflections in Ricoeur’s final writings, which attempt to reanimate a dialogue between his initial phenomenology of the flesh and his hermeneutics of language, Kearney suggests new directions for a carnal hermeneutics in which the insights of a philosophy of embodiment and a philosophy of interpretation are brought together. The second part of the book, Hermeneutic Phenomenology of the Self addresses the questions of the self and of our belonging to the world. In the chapter “Identity and Selfhood: Paul Ricoeur’s Contribution and Its Continuations” Claude Romano challenges Ricoeur’s idea that selfhood can be conceived as a form of identity. However, Romano does not suggest that Ricoeur’s conception of selfhood should be abandoned, but argues that we should seek a better way of understanding the relationship between selfhood and our qualitative identity. “From a Genealogy of Selfhood: Starting from Paul Ricoeur”, the fifth chapter, explores the idea that otherness is constitutive of selfhood. Although Ricoeur distinguishes different kinds of otherness in Oneself as Another, Carmine Di Martino focuses on the otherness at work in the intersubjective relationship. By putting Ricoeur’s thought in dialogue with the works of Axel Honneth, René Spitz, and Jan Patočka, Di Martino shows how our belonging in the world is marked fundamentally by our relationships with others. In the final chapter of the second part, “The World of the Text and the World of Life: Two Contradictory Paradigms?”, Michaël Foessel focuses on language and narrative as constitutive elements of our belonging to the world. By showing that reading is not only the interpretation of an objective meaning but also a central element of the understanding of the self, Foessel makes clear that textuality constitutes a fundamental dimension of our being in the world. Hermeneutic Phenomenology of Tradition, Memory and History, the third part of the book, examines another aspect of alterity that constitutes the self, namely the influence of the past. In “Word, Writing, Tradition” Michael Sohn, just as Leslie MacAvoy, starts from the Gadamer-Habermas debate about tradition, but has a different approach from MacAvoy. Sohn demonstrates that the concept of tradition Ricoeur formulates within this debate goes back to Ricoeur’s earlier writings, specifically his critical engagement with French structuralism and philosophy of language. In this way, this chapter shows how Ricoeur’s philosophical ideas not only build on phenomenology and hermeneutics, but also arise to a great extent from his discussion with other schools of philosophy. In the eighth chapter, “Involuntary Memory and Apprenticeship to Truth: Ricoeur Re-reads Proust”, Jeanne Marie Gagnebin joins Richard Kearney’s search for a carnal hermeneutics. Starting from Ricoeur’s interpretation of Proust in Time and Narrative, Gagnebin shows that Ricoeur’s reduced attention to embodiment in his later work results in an interpretation of In Search of Lost Time, in which the corporeal dimension of memory present in Proustian descriptions is not sufficiently emphasised. The endeavour to connect embodiment to meaning is also present in the next chapter, “Memory, Space, Oblivion”, in which Luis António Umbelino shows that memory is not only a temporal experience, but also has an important spatial dimension. A different approach to Ricoeur’s thinking about the past is offered by Pol Vandevelde in his chapter “The Enigma of the Past: Ricoeur’s Theory of Narrative as a Response to Heidegger”. In this chapter, Vandevelde tests the fruitfulness of Ricoeur’s conception of narrative as the guaranty of continuity between event and historical fact, by examining some events at the end of WWII and the nature of the delay that took place between the happening of these events and their recognition decades later as historical facts. The last part of the book is dedicated to the Challenges and Future Directions for a Hermeneutic Phenomenology. In the first chapter of this final part, Marc de Launay focuses in “The Conflict of Hermeneutics” on Ricoeur’s permanent hesitation between two different approaches to hermeneutics, hermeneutics as philosophy and hermeneutics as method. According to de Launay, Ricoeur’s intention to reconcile these two different hermeneutics cannot be maintained in the end. In “Intersectional hermeneutics” Scott Davidson states that Ricoeur’s commitment to structuralism poses a serious challenge for his hermeneutics. To surmount this problem, Davidson develops the interesting alternative in which intersectional theory takes over the role previously played by structuralism. The two final chapters of the book both focus on Ricoeur’s hermeneutical theory of truth. Sebastian Purcell approaches this topic in “Hermeneutics and Truth: From Alètheia to Attestation” by contrasting Ricoeur’s approach with Heidegger’s, while Todd Mei constructs a unified theory of truth from various texts of Ricoeur. It is clear that the book consists of very different approaches to Ricoeur, and in particular to the question of the interaction between his hermeneutics and his work in the school of phenomenology, both in terms of philosophical disciplines, framework and objectives. In this way, this book offers a good sample of the broad scope of Ricoeur’s philosophy, his historical relevance and the possible future of his thinking. The collected essays all stand on their own, although interesting parallels can be drawn between some of them, resulting in an enriched view on both the influence on and interaction of different philosophical schools in Ricoeur’s philosophy and between the different philosophical disciplines Ricoeur practiced. Although this book shows well Ricoeur’s attempt to find a certain cohesion between many different philosophical approaches and assumptions, the overarching theme of the book is not everywhere equally present. 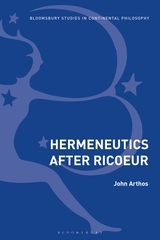 Some of the texts are able to offer a very clear account of how the interrelation between hermeneutics and phenomenology is at work in the development of some of Ricoeur’s philosophical idea’s, but other texts seem to address this question barely or not at all. Therefore, the central question of the book is maybe not dealt with explicitly enough in all the different chapters. Although the individual quality of the different essays in the book is outstanding, which makes the book already worth reading, this book therefore does not quite work as whole. The different chapters rather seem to offer a puzzle the reader needs to bring together to gain insight in the complex and diverse ways in which phenomenology and hermeneutics interact in Ricoeur’s thinking. This puzzle does justice to the complexity of this central question, but a more profound elaboration of the central topic would have been beneficial.